The new Premier League and Football League seasons kick off this weekend - bringing an end to six weeks of pre-season training for most players. But what happens during pre-season and how have scientific advancements made an impact on the techniques involved? Bolton's first-team fitness coach Damian Roden and Bristol Rovers manager Paul Trollope outline the purpose and processes undertaken during the build-up to a new campaign. Bristol Rovers boss Paul Trollope is in no doubt as to what he wants from pre-season. "You want a good level of fitness," Trollope told BBC Sport. "You have to build slowly but by the first game of season you need to make sure your team has played enough friendlies, done enough weights and put in sufficient fitness work. "It is also important that the methods you have employed through pre-season continue during the campaign." Rovers do not have a particularly large squad and Trollope's pre-season programme is geared in part towards ensuring his players are in the right shape to maximise their chances of avoiding injury when the season starts. "Injury prevention work is crucial," said Trollope. "That forms a large part of our training, especially early in the pre-season." Avoiding injuries is also a big priority for Roden. "The biggest thing is injury prevention," Roden told BBC Sport. "The traditional approach used to be hit them as hard as you can, which scientifically is absurd. "At Bolton we want to make sure that when season starts the players are in match-fit condition and injury free. "For me, that involves periodising - which in football is planning to make sure that players peak at the right time. "It is a method of organising your training programme so that you are ready for every game, constantly improving as the season progresses. "Strength has a knock-on effect on every other fitness component, including endurance, so our philosophy is that if you get the strength right it will carry us right through the season." Bolton have a considerable backroom staff, including performance analysts, a nutritionist, a strength and conditioning coach and a head of sports science and medicine as well as numerous football specific coaches. All play a part in pre-season, which is structured way in advance of the players' returning after their summer holidays. By the end of last season, in which Bolton finished seventh to earn a Uefa Cup place, Roden knew what he wanted to do this summer and had a structure in place for pre-season. But the structure of pre-season is, admits Roden, "governed by success" and Bolton's form during the last campaign led to the club being invited to participate in the Peace Cup in Korea. Roden had to plan around that but added that "normally, pre-season is broken into three phases". "Firstly, an introductory phase that is purely fitness work, although there is some football in there. "The second is the introduction of pre-season games and an element of competition, which requires fitness and tactical/technical work. "Then there is a third phase, where there is a shift in fitness from strength and endurance to pure speed, strength and power as well as lots and lots of technical and tactical work." Rovers, promoted from League Two last season, do not have the same financial resources as Bolton and thus have a much smaller backroom staff. 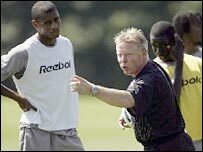 However, Trollope still consulted as many people as possible when structuring pre-season. 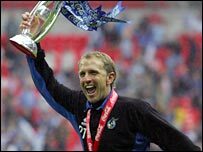 "We have picked people's brains to devise a programme," revealed Trollope, who consulted Rovers director of football Lennie Lawrence as well as various contacts elsewhere. And both Trollope and Roden agree that the events of the previous campaign have an impact on what happens in pre-season. 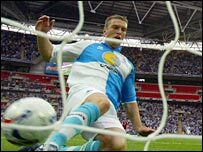 Rovers won the League Two play-off final last season and were runners-up in the climax of the Johnstone's Paint Trophy at the Millennium Stadium. "Last season had a big influence on how we structured this pre-season," said Trollope, who took into account the fact that several of his senior professionals played in more than 60 games. The balls came out on the first day of training at Bristol Rovers, on the second at Bolton. And at both clubs there is a definite acknowledgment that pre-season programmes have advanced significantly in recent years in part as a result of an increased level of professionalism by the players. "In days gone by, when I first started, players frequently reported back half to three-quarters of a stone overweight, having done virtually nothing for six weeks," commented Trollope. "That dictated managers had to be careful and make players do a lot of running before the balls came out to make sure the physical condition was right." Bolton's players reported for pre-season testing a few days before flying out to their training camp in Austria - and the official start of their build-up to the new campaign. "We did tests before we went to Austria to assess the players' fitness and we then had a couple of days to analyse the results," added Roden. "We do tests to assess all the individual fitness components so we know where they are for strength, speed and power as well as endurance. We also know what their body fat and weight is." ProZone (a computerised performance analysis system), physiotherapists and psychologists all play a part in a player's individual programme. The players also wear heart rate monitors for all their training sessions - and individual zones are set that are based on their test results. "A heart rate monitor gives us a good idea of how the players are responding - if one is spending too long above a certain zone it tells us they need resting," said Roden. "Every player has an individual programme with a maximum heart rate set for them. It is all based on a player's genetic make up." Similarly, a nutritionist studies each player's dietary needs. "The nutritionist's opinion is to give everyone the same menu but with players taking different portions based on their metabolic type. 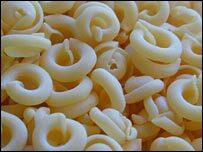 For example, some players who are intolerant to carbs will have a high protein and fat diet." Roden may be a big advocate of the appliance of science in football but he is adamant that it cannot be used in isolation. "You can have the best scientific brains in the world but if you don't have a knowledge of the sport you are working in then you are in trouble," he said. If you don't get one piece of the cog right it can have a big effect - many factors that affect performance. "In the same way, you can have the best coaching brain but if that coach does not understand the science then again there is a problem." Roden, for example, has a professional coaching licence and is able to devise his pre-season fitness sessions so that they relate to forthcoming tactical technique work. "Even in the warm-up you can link to the sort of stuff the coaching staff are going to do in their tactics," he commented. "That way when the players come to do their tactics it is not foreign to them - they can see how what they have done fitness-wise links up with tactics." Heart rate monitors may play a part in fitness programmes but Roden admitted "the best test is to use your professional eye". And although scientific advances have helped to improve the fitness of players and their ability to perform, there are still too many variables to guarantee success. "If you don't get one piece of the cog right it can have a big effect," conceded Roden. "There are many factors that affect performance. "You also need to know when you can work on a certain component in relation to when a game is or in relation to another component. "There are many things that have a massive effect on playing a game of football." Bolton did not win a pre-season game last year but went on to pick up 20 points out of the first 27 available when the Premier League season started. Roden believes that there is a bigger picture than simply trying to win pre-season friendlies - it is about moving through the different phases so the players are fit when the campaign starts. Sessions are devised that push the players harder as they develop their fitness. "The body adapts and finds most economical way to achieve a particular session," added Roden. "If we perform the same session they will find it easier the fourth time than the first." However, push players too hard in pre-season and you risk them picking up injuries. If this happens and they miss a chunk of the pre-season it can have an impact that will last for months - significantly longer than the period of absence caused by the injury. Trollope himself missed three weeks of a pre-season after damaging a hamstring when he was at Fulham. "When the season started I was lacking match fitness and was not selected. After that I struggled to get back in," he revealed. Lambert had missed a lot of the pre-season programme through injury and did not score his first goal for his new club until 26 November - his 10th game for his new club. "The base work - the fitness development - done through pre-season is crucial," said Trollope. "Rickie Lambert had missed some of the pre-season when he joined and it took him quite a few months to get up to what we felt was his match tempo and speed. Luckily for us, he came good at the business end of the season."